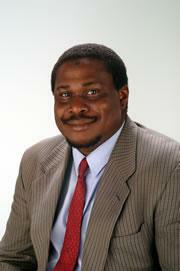 Dr Frank Agbola joined the University of Newcastle, Australia in 2002. Prior to this, Dr Agbola held lecturing positions at Monash University, Australia, Curtin University, Australia, and University of Queensland, Australia. Dr Agbola has a strong background in applied econometrics, development economics and agricultural economics and has published in several top-tier refereed journals. Dr Agbola has taught in the areas of econometrics, business statistics, microeconomics, macroeconomics, development economics, and agricultural economics at the undergraduate and postgraduate levels. Dr Agbola has supervised and currently supervising a number of PhD and Masters students in the areas of International Economics, Poverty, Efficiency Analysis, SMEs, Supply Chain Management, FDI and Economic Growth, Corporate Social Responsibility anf Firm Performance. Dr Agbola has served as a reviewer for Urban Studies, Economic Modelling, Applied Economics, Journal of Development Studies, Journal of Rural Studies, Emerging MArkets Finance and Trade, International Journal of Finance and Economics, Annals of Tourism Research, Contemporary Economic Policy, The International Trade Journal, Journal of Economic Policy, Journal of Social and Economic Development, World Development, Tourism Management, Asia Pacific Economic Literature, Review of Economics and Finance, Energy Economics, Journal of Rural Studies, Journal of Immigrant and Refugee Studies, Journal of Economic Policy Reform, International Journal of Contemporary Hospitality Management, Australian Journal of Agricultural and Resource Economics, Agricultural Economics, Energy Economics, Journal of Small Business Management, Journal of Asian Economics, Journal of the Asia Pacific Economy, Journal of Hospitality and Tourism Research, Australian Economic Papers, Environmental and Development Economics, Australasian Journal of Regional Studies, International Journal of Productivity and Performance Management, International Journal of Social Economics, Contemporary Economics, Contemporary Management Research, Ghana Social Science Journal, African Journal of Agricultural Research, African Journal of Agricultural and Resource Economics, International Journal of Sociology and Anthropology, Journal of Business Economics and Management, and African Journal of Tourism and Hospitality. Currently, Dr Agbola is Editor-in-Chief of African Journal of Technical Education and Management, Associate Editor of Journal of Small Business Management, Guest Editor for Tourism Economics, Guest Editor for Economies, Editorial Board Member of Tourism Economics, Journal of Hospitality and Tourism Research, African Journal of Agricultural and Resource Economics, Contemporary Management Research, and Economies. Dr Agbola consulted for Food and Agriculture Organisation, Rome and Grains Research Committee of Western Australia. My research expertise is in the area of Applied Econometrics, Development Economics, Agricultural Economics, International Economics, Financial Economics, Tourism Economics and SMEs. My teaching expertise is in the area of Econometrics, Economics, Financial Economics, Development Economics and Agricultural Economics. Deputy Head of Newcastle Business School (2014-present), Head of Economics Discipline, NBS, FBL Research Committee Member, FBL Teaching and Learning Committee Member, Program Convenor for Master of Professional Economics & Graduate Certificate in Professional Economics, Program Convenor for Bachelor of Commerce (Economics), Course Coordinator for Undergraduate and Postgraduate Courses, Economics Discipline Representative on Bachelor of Development Studies Working Group, Economics Discipline Representative on Master of Social Change and Development Working Group, FBL Workload Working Party. Currently, I am collaborating with: 1. Associate Professor Albert G. Assaf, Isenberg School of Management, University of Massachusetts, Amherst, Research focus - Measuring Efficiency in Hotels. 2. Dr Pip Brock, NSW Department of Primary Industries, Research focus - LCA of Agricultural Products. The primary purpose of the Journal of Small Business Management (JSBM) is to publish scholarly research articles in the fields of small business management and entrepreneurship. As the official journal of the International Council for Small Business (ICSB), the JSBM is recognized as a primary instrument for projecting and supporting the goals and objectives of this organization, which include scholarly research and the free exchange of ideas. The journal, which is circulated in 60 countries around the world, is a leader in the field of small business research. Tourism Economics is an international peer reviewed journal, covering the business aspects of tourism in the wider context. It takes account of constraints on development, such as social and community interests and the sustainable use of tourism and recreation resources, and inputs into the production process. The definition of tourism used includes tourist trips taken for all purposes, embracing both stay and day visitors. This journal is a member of the http://publicationethics.org">Committee on Publication Ethics (COPE). The African Journal of Technical Education and Management (AJTEM) is an international peer-reviewed Journal with the aim of publishing research findings in the fields of Science, Technology, Arts, Business and Management Education. It embodies a blend of an interdisciplinary community of researchers, academics and practitioners (including policy makers) as its contributors and for its readership. data and/or methodical details must be provided for research articles. manuscripts will be considered for publication. innovative ideas, JHTR also includes a Research Notes and Industry Viewpoints section.This journal is a member of the http://publicationethics.org/">Committee on Publication Ethics (COPE). © 2018, © 2018 Informa UK Limited, trading as Taylor & Francis Group. This article empirically investigates the effect of central bank¿s foreign exchange interventions on the level and volatility of the Uganda shilling/US dollar exchange rate (UGX/USD) under an inflation-targeting regime. Utilizing daily data spanning the period 1 September 2005, to 31 December 2015, we estimate a foreign exchange intervention model within a GARCH theoretic framework. Empirical results indicate that foreign exchange interventions have had mixed impact on the volatility of the exchange rate. We find that inflation targeting is capable of curbing temporary exchange rate shocks. Empirical results indicate that while order flow is capable of reducing exchange rate volatility, an increase in the operating target rate, the 7-day interbank rate tends to exacerbate exchange rate volatility. Our empirical results are robust to alternative model specifications. We argue that inflation targeting is an effective monetary policy tool for curbing exchange rate volatility. © 2015 Taylor & Francis. The global financial crisis has disrupted trade and capital flows in most developing economies, resulting in an increased volatility of exchange rates. We develop an autoregressive distributed lag model to investigate the effect of exchange rate volatility on economic growth in Uganda. Using data spanning the period 1960¿2011, we find that exchange rate volatility positively affects economic growth in Uganda in both the short run and the long run. However, in the short run, political instability negatively moderates the exchange rate volatility¿economic growth nexus. These results are robust to alternative specifications of the economic growth model. © Medwell Journals, 2016. This study examines the business alliance practices of Tourism Small and Medium Enterprises (TSMEs) in Malaysia. TSMEs play a crucial role in sustaining economic growth and development in Malaysia. The study explores the business alliance activities of TSMEs to determine the similarities and differences of TSMEs across Malaysia. The study finds that overall TSMEs practices formal business planning in their business operations with main alliance activity is information sharing followed by knowledge sharing. Some policy implications to assist TSMEs to implement and improve the practices are suggested. © 2014 Elsevier Ltd. With the increased international competition facing hotel chains, it is essential that the next destination they enter is the most attractive option possible. The host destinations too have a keen interest in strategically positioning themselves in order to attract international hotels since their presence has several positive effects. Using, for the first time, actual on-location data we investigate the factors that matter most for international hotels when selecting host destinations. Specifically, we identify 23 factors that make a destination an attractive (or unattractive) location for international hotels. We then rank these. The results show that welcomeness, infrastructure, and crime rate are the three most important factors that influence the location of international hotels in host destinations. © 2014 Elsevier Inc. This paper empirically investigates market efficiency and trading rule profitability of the Ugandan foreign exchange market for the period January 1994 to June 2012. We test for market efficiency using a battery of variance ratio tests with superior size and power properties. We find that the Ugandan foreign exchange market is characterised by pricing inefficiency, except for a few brief episodes of efficiency. We also find that the Buy signals outperform the Sell signals in correctly predicting exchange rate movements, and yield higher returns. Investors can earn excess returns over a buy-and-hold strategy using trading rules but these returns diminish substantially after accounting for transaction costs. We conclude that the Ugandan foreign exchange market is generally characterised by weak-form inefficiency. However, market participants are unable to consistently exploit pricing inefficiencies due to transaction costs and time variation in the inefficiencies under changing market conditions. Our finding of time variation in market efficiency is consistent with the adaptive market hypothesis of Lo (2004). © 2014 Elsevier B.V. This paper empirically investigates the usefulness of a hybrid model consisting of macroeconomic fundamentals and market microstructure variables in examining the dynamics of the Uganda shilling/US dollar foreign exchange rates. We employ macroeconomic fundamentals that are guided by the monetary model of exchange rates and market microstructure related frictions represented by order flow and bid-ask spreads to track long-run and short-run movements in exchange rates, respectively. Utilising the ARDL framework, we estimate the model using monthly data spanning the period January 1995 to March 2013. We find that our hybrid model is robust to alternative model specifications and provides an adequate framework to explain the dynamics of the Uganda shilling/US dollar foreign exchange rates. This article empirically investigates the impact of inward foreign direct investment (FDI) on regional economic growth in the Chinese electronic industry (CEI). Utilizing a provincial-level panel data spanning the period 1989 to 2009, we specify and estimate an endogenous economic growth model for the CEI. Empirical results indicate that, for the coastal region, FDI inflows have been growth enhancing, while in the central and western regions the impact of FDI on economic growth is mixed, depending on the channel of capital flow. Results also indicate that exports, human capital, science and technology investment and fixed asset investment are growth enhancing, while unemployment and foreign R&D investment are growth impeding in the CEI. © 2014 © 2014 Taylor & Francis. During the past decade the Indian chickpea industry underwent a dramatic structural shift following the implementation of market-oriented policies by the Government of India. This paper examines consumer attitudes to quality characteristics of chickpea in India. A linear hedonic price model is estimated using auction price and quality data of chickpea samples obtained from major markets in India. Empirical results indicate that specific physical quality characteristics and purity standards are important factors influencing the price of chickpea in India. Thus, there may be an incentive for domestic producers and sellers of chickpea-and exporting countries-to improve the quality of their product, if improvements in specific physical characteristics and purity can be obtained cost effectively. As trade prospects grow for regionally important food crops like chickpea and other pulses, it is essential that food managers, commodity exporters, and crop breeders have access to critical market information in order to assess the relative economic importance of preferred quality traits and plan their strategies accordingly. © 2002 Elsevier Science Inc. All rights reserved. The recent globalisation phenomenon is reshaping economies around the world by promoting frictionless movement of factors of production. However, some critics argue that globalisation could have an adverse impact on developing economies. Although a plethora of studies have examined the impact of foreign direct investment on economic growth, the FDI-manufacturing output nexus remains sparse. This study aims to provide new insights on the impact of FDI-manufacturing output nexus in Sub-Saharan Africa under changing economic conditions. Agbola, F.W. Saini, Y., Damoense, M., Firer, S.
Agbola, F.W., Maitra, P., McLaren, K.
Agbola, F.W., Kelley, T., Bent, M., P-Rao, P.